Our Ford 650 Limousine service was created with you in mind. Hiring this unique limo will give you exquisite comfort and luxury. It has excellent facilities and features that will make your party, event or trip a very memorable one. So if you want a really huge limousine for your corporate functions, wedding, prom, airport travel, a city-wide tour or an excursion to the Niagara Falls, you should hire our giant Ford f650 limousine. Here are some of the reasons why our clients prefer our limo rental service. * Our Ford f650 Limo can seat about 28 passengers comfortably. * A dividing wall between the driver and the rest of the coach guarantees your privacy. * Our limousine rental services are affordable, we even offer discounts when you hire our vehicles for long hours..
* We have competent, courteous and well trained chauffeurs and limo attendants. * Our limousines are cleaned and serviced regularly by specialists. * We can assist you in planning for your trip if you want us to do so. It is very easy and convenient to rent our Hummer Limo. The procedure for renting our Ford 650 Limousine is simple and convenient. Just give us a call or send an email. You can also fill the contact form to request for a quote. All requests are given prompt attention. You will receive a response in less than 24 hours. 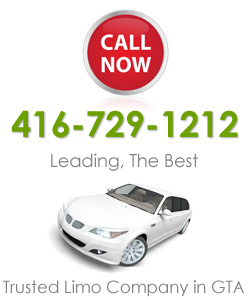 Presently, our Ford 650 Limousine services are available in Toronto, Brampton, Oakville, Mississauga, Woodbridge, Markham, Vaughan and Richmond Hill. * Our Ford f650 Limo can seat about 28 passengers comfortably.